Manufacturing our electronic products begins with the purchase of the printed circuit boards and all the required components. We purchase our printed circuit boards from a company in China that ensures a uniformly high standard of quality due to its modern, fully automated production facility. Components that we do not have in stock are sourced worldwide. 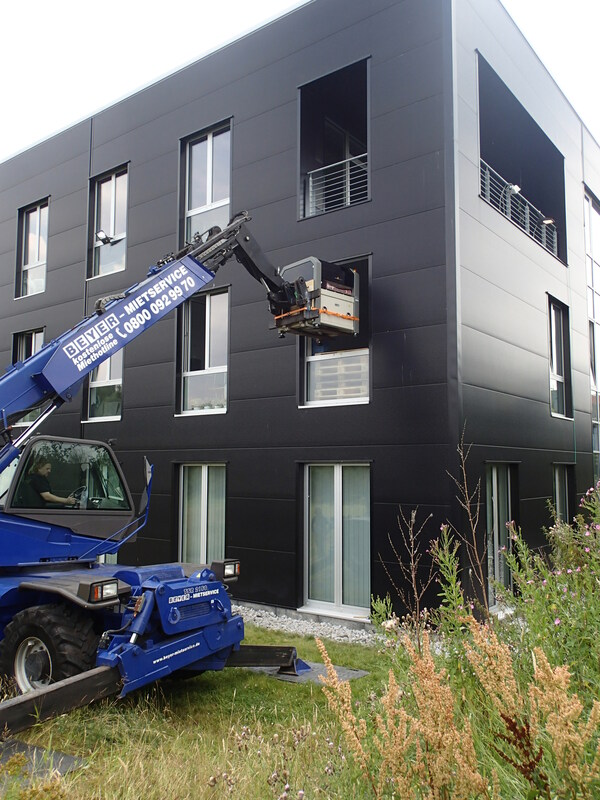 We produce samples from the materials, which we then check and, up until now, have taken to an EMS service provider close to our location, along with the SMD components and printed circuit boards. We receive the completed assemblies after 4 to 8 weeks. After a final, visual inspection, the assemblies are installed in the devices and the completed products are subjected to various tests. Approximately one year ago we decided to change this process by purchasing an SMD placement machine. One major reason for this decision was our quality standard. By assembling the boards ourselves we can monitor the entire production process, which means we can optimize it, which in turn leads to a higher standard of quality for our products. An EMS service provider’s employees manufacture a vast range of assemblies each day, which is not always possible without faults creeping in. A lack of knowledge about the units that are to be manufactured can lead to bad decisions, as in our case, when sensors were recently destroyed by cleaning fluid after a rework-process. A second point supporting the decision to purchase an placement machine is the EMS service providers’ long lead time. By placing the components ourselves, we can react to orders far more quickly. Furthermore, automated SMD assembly is commercially viable even in small numbers and we can thus implement our customers’ requirements more freely. 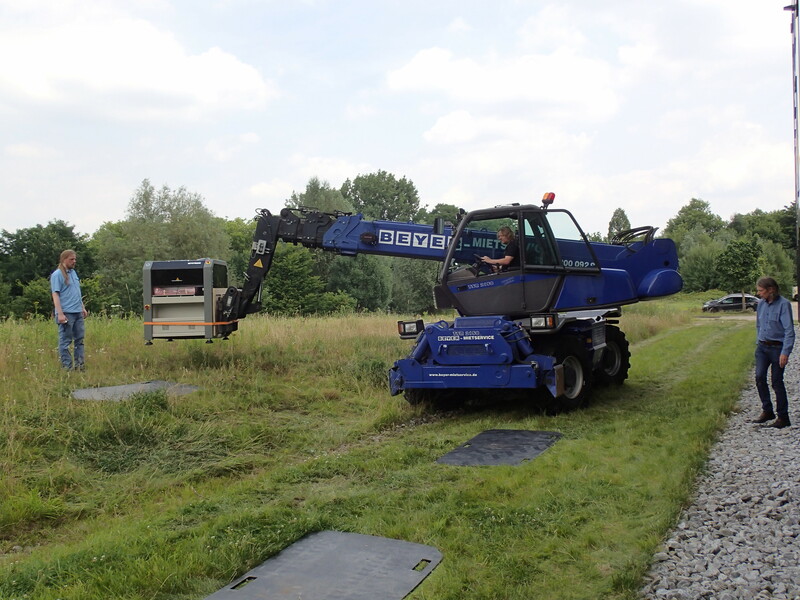 And now the moment has finally arrived: The placement machine is in our production. 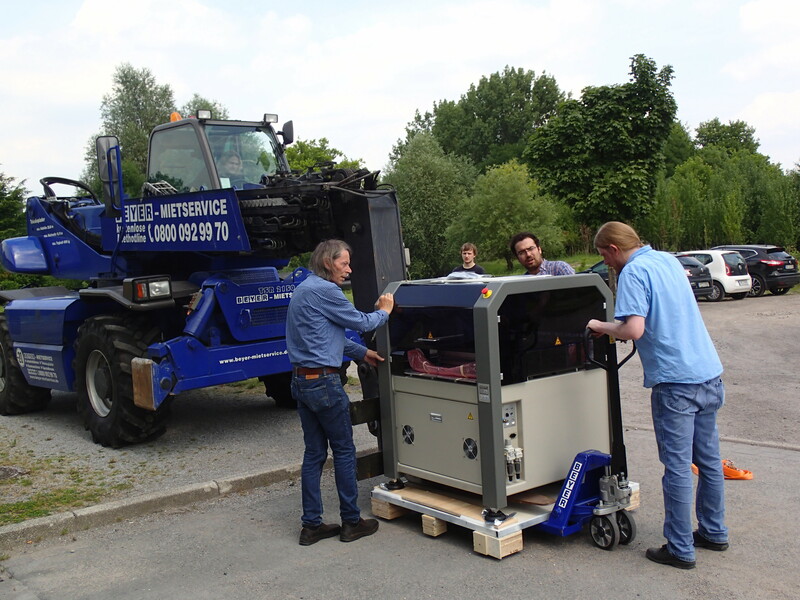 We decided on an Autotronik machine. Some key data of the device: 4,500 components per hour at an accuracy of 0.01 mm and a resolution of 0.005 mm. But first we faced a slight problem: The placement machine did not fit through the door. So we hired a telescopic forklift and an experienced forklift driver lifted the machine, along with a stencil printer we purchased at the same time, into our production area through a window. The following pictures will give you an impression of the process. After Gmail and Yahoo recently dropped the email encryption standards SSLv3 and RC4 due to security breaches, devices from the TCW2xx product range by Teracom could no longer send email notifications via these providers. This was due to the fact that the devices’ firmware did not support the newer, safer encryption standards employed by the email providers. The manufacturer offered an interim solution by providing an in-house email service without any encryption standards. 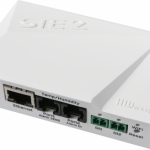 But a permanent solution has now been found with the release of an updated firmware version: The new firmware for the devices TCW220 and TCW241 now supports the TLS protocol, enabling both products to once again send email notifications via providers such as Gmail and Yahoo. The possibility of sending email-notifications is one of the key features of many of the monitoring-devices we offer. Many customers use this functionality together with free email services by providers such as Gmail or Yahoo Mail. This works reliably if the respective devices support the transfer of encrypted emails. You can check whether this is the case by looking for terms such as SSL, TLS, StartTLS or simply “encrypted emails” on the device’s data sheet. These terms refer to complex standards, whose details are usually not found in the devices’ manuals. Usually, however, the manufacturer will ensure that their devices are compatible with the major email providers. Nonetheless, crafty people frequently locate security loopholes in these encryption methods. The email-providers commonly react to such information by implementing new standards while simultaneously ceasing to support older ones. Usually, they will notify you of such changes ahead of time. However, many of us will surely sometimes miss such notifications or react too slowly. Thus, it may happen that your device will no longer be able to send you email-alerts. It is therefore advisable to check this functionality regularly. Some devices can even send regular status notifications, for instance once a week. If such a message fails to arrive, you should take action quickly. A short-term solution to the problem is simply changing the email-provider. However, one should be aware that the new provider will most likely also discontinue the support for the standard deemed unsafe sooner or later. Recently, Gmail and Yahoo Mail reacted to new information on such security loopholes concerning the encryption methods SSLv3 and RC4. As a consequence, both providers no longer support these standards. This currently affects the devices in the product line TCW2xx by Teracom. At the moment there is unfortunately no alternative firmware that supports newer standards. However, the manufacturer has provided the service TCW Gateway that is free for all customers and can be used to send unencrypted emails. 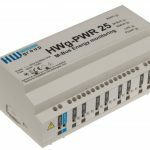 The Czech HW group lowers the prices for the M-bus to Ethernet gateways HWg PWR3, PWR12 and PWR25. 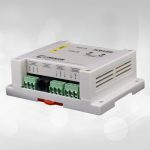 Die M-Bus to Ethernet gateways by HW group read out meters with m-bus interface, such as engergy meters, gaz meters and so on. Acquired values are depicted graphically and exported to the Send Desk cloud via HW push. Periodic emails can be send out as well. 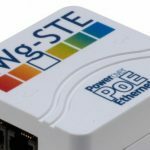 HWg-STE PoE is an Ethernet thermometer with support for SNMP and alert e-mails. Power supply is carried out over Ethernet (PoE), which makes it an ideal solution for monitoring server rooms. 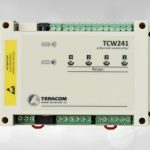 Teracom has discontinued the production of the Ethernet controller TCW240B. The successor TCW241 is now available. 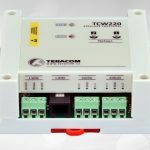 Teracom has a new flagship in his fleet of Ethernet controllers: TCW220 is suitable for measuring, recording and monitoring manifold parameters over 1-wire bus and two analogue and digital inputs. 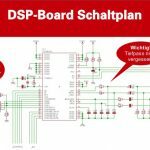 After ten years of production and 5 years of not being recommended for new designs, VLSI solution has discontinued the production of VS1033. 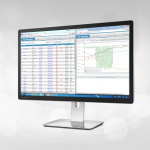 Teracom has released a software, which records and visualizes measurements by Teracom sensors. 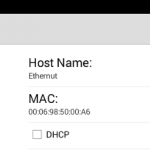 With NutDiscover you can find your Nut/OS devices in the local network. On August 21th, 2014, Harald Kipp was giving a talk on digital signal processing. That was an opportunity to meet old friend and to get to know and talk to further interesting people.